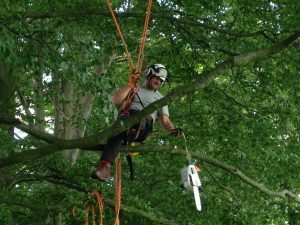 This course is ideal for people who work as arborists and tree surgeons wanting to use a chainsaw from a rope and harness. There is no rigging involved in this course. 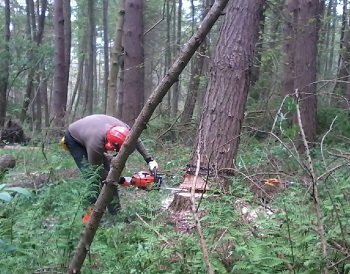 The course is about getting into the correct positions to be able to use a chainsaw in the air and cut wood to fall in a pre determined direction by either free fall method or handheld and demonstrate the ability to carry out a target prune safely while suspended from a rope and harness.